Nick Avants, born January 29th, 1943 in Little Rock, AR, was a professional umpire from 1964-1972. 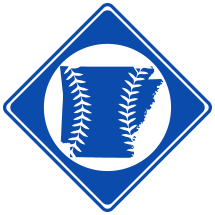 Avants attended Wendelstedt Umpire school and began to umpire professionally in 1963 at age 20 when he filled in at the various home games of the Arkansas Travelers of the AAA International League. In 1964, Avants umpired in the Florida State League, moving onto the Appalachian League from 1965-1966 and the Carolina League in 1967. After working in the Texas League from 1968-1969, he joined the AAA American Association in 1970. In September of that year, Avants was called up to the American League. He made his MLB umpiring debut on September 21st at Yankee Stadium. Avents umpired 10 more big leagues game during the 1970 season and 8 in the 1971 season.